Bali is a great place to visit all year round, with plenty on offer regardless of the season. Understanding that each month brings its own drawcards and downfalls will ensure you book the Balinese holiday of your dreams, as the changing weather and accommodation costs can play a big part on the enjoyment levels of your vacation. We’ve provided an overview of the different seasons and festivals in Bali to help determine the best time for you to visit this beautiful island paradise. Bali lies just eight degrees (890 km) south of the Equator, so the island enjoys a tropical climate all year round, although there are distinct differences between the seasons. There is no daylight savings time in Bali, with the sun rising around 6:20AM and setting at 6:30PM, providing 12 solid daylight hours every day for you to experience all the island has to offer. Day time temperatures typically sit around 26-27ºC in the south along the major tourist beaches of Kuta, Legian, Seminyak and Nusa Dua, whereas the mountain towns are significantly cooler, with average temperatures sitting around 21ºC. 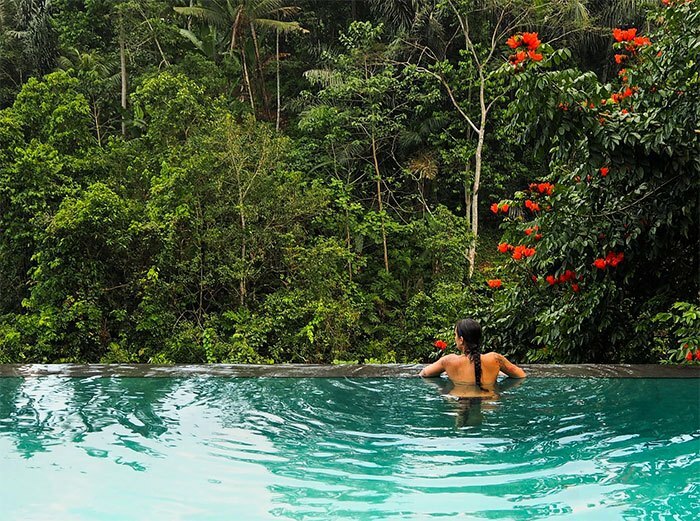 High humidity levels (soaring as high as 90%) can trick you into thinking it’s much hotter than it really is, while central areas like Ubud can really cool down over night and leave you wishing you packed warmer clothes. The lowest the average temperate gets in Bali is 22ºC, and the water temperatures are pleasant all year round, so you really can’t make a bad choice when it comes to choosing the best time to visit Bali. The dry season runs from May to September, with steady temperatures all season long. The rainy season runs from October to April, but the weather is unpredictable and you will typically always get sunny weather for a good portion of the day. 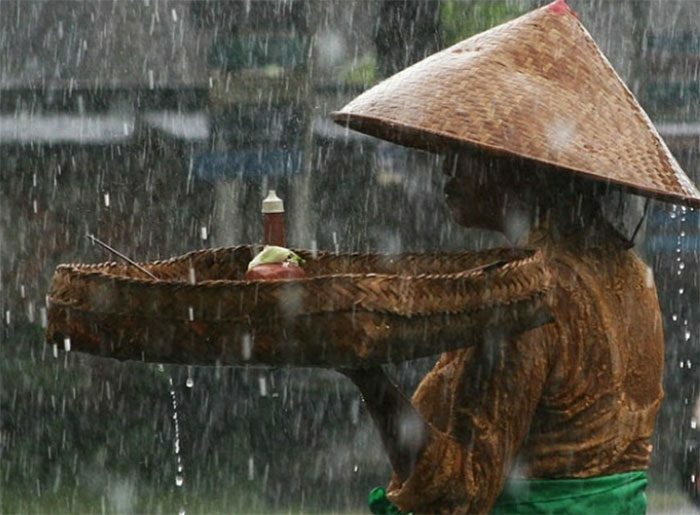 When the storms roll in it can be a great reason to kick back and enjoy the luxuries of your hotel room or wait out the rain in one of Bali’s many incredible bars or eateries. Bali’s peak tourist season is based on multiple factors, namely the weather and any corresponding school and university holidays. The driest months (July and August) are the most popular with visitors due to their cooler temperatures, while Australia’s July school holidays bring hordes of families seeking to escape the Australian winter. 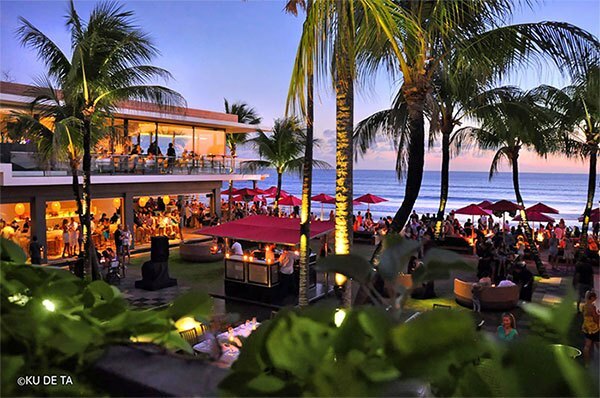 Easter holidays are also popular, but at no other time is Bali busier than during the Christmas and New Year period. During December and January, accommodation prices sky rocket, hotels fill up fast and traffic gets congested as sun seekers from all over the world flock to start their new year off in style. If you want to avoid the crowds in Bali, avoid peak season as you may find yourself overwhelmed by the high concentration of tourists. However, high season also has plenty of perks – this is a great time to come if you want to indulge in the party lifestyle, as clubs and bars are at their most lively during peak periods. Around Christmas and New Year there are all kinds of special events including dancing, music, cultural festivals and fireworks. It’s also a great time for families, with resorts organising plenty of family-friendly activities and events to keep the kids happy. Low season in Bali is generally considered to be just before or after the high season – from March to June and between September and November. Low season is also considered by many to be the best time to visit Bali. The weather is very pleasant between May and June, and fewer crowds mean you’ll get much better prices on accommodation and special deals on tours and packages. Restaurants are not as busy, traffic is not as intense and there’s a more relaxed vibe overall. Given the more subdued pace, low season is the best time to indulge in water activities like snorkelling and scuba diving, as the waters are clear and not too over-crowded. For surfers, the dry season between May and October provides some truly world-class waves on the Western peninsula, and cheaper prices make it a great time for backpackers. March is where you can experience the cultural festival that is Hari Raya Nyepi, the Balinese Hindu New Year. Hari Raya Nyepi is celebrated on the first new moon in March and gives visitors the chance to witness a sacred, cultural celebration that includes ancient customs and brazen partying followed by a full day of tranquil silence. The airport is closed for Nyepi, and nobody is permitted onto the streets or beaches out of respect for the Hindu tradition.